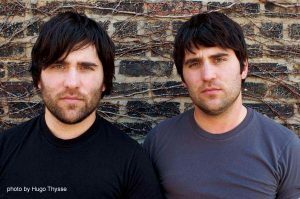 Before we dig into influences and who brings what to the table, let’s get one thing out of the way: Chicago’s Wiitala Brothers have not hitched their wagon to moniker-punctuation ’09, a.k.a. the double “i” bands like Miike Snow and Sliimy. Maybe they’re Finnish (slick-skating defenseman Janne Niinimaa comes to mind), but it’s the family name. On to page 2. It’s not as if those two I’s don’t come into play, however. Like the way you pause before pronouncing them — wondering whether to extend an “eee” or “ayyy” sound — da bruddas’ self-released debut album, Bad Blood, lingers. Usually it’s just Christopher’s lead vocal, which is somewhere between a Kings Of Leon drawl and an if-I-answer-you-please-let-me-go-to-sleep half-reverie. But before long, it affects Trevor’s kit and background vocals, especially on “Lock And Key,” which is too lazy to run downhill so it leans back and lets gravity do the work. 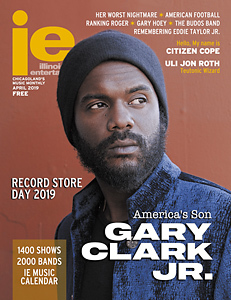 “Face The Wind,” on the other hand, fights the adverse weather, vowing “We’re gonna take our chances/burn our bridges,” while closer “Past Present Future Told” embraces loneliness with lightly hammered piano chords and an on-fumes metronomic click. If you were to throw blanket comparisons, tell your boss’ admin they’re Coldplay, your sorta hip buds they’re The National, and be proud of yourself for connecting them to similarily lo-fi Chicago-based forbearers Low Skies. Just don’t let the ii’s deceive you. Youth Group and Other Girls headline.